Barry Jean Ancelet is a native Louisiana French-speaking Cajun, born in Church Point and raised in Lafayette. He graduated from the University of Southwestern Louisiana (now the University of Louisiana at Lafayette) with a BA in French in 1974. He received an MA in Folklore from Indiana University in 1977, and a doctorate in Études Créoles (anthropology and linguistics) from the Université de Provence (Aix-Marseille I) in 1984. He has been on the faculty at U.L. 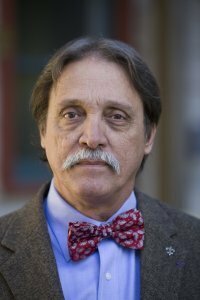 – Lafayette since 1977, first as Director of the Center for Acadian and Creole Folklore, and later as a Professor of Francophone Studies and Folklore in the Department of Modern Languages, which he chaired for a number of years. In 2005, he was named Willis Granger and Tom Debaillon / BORSF Professor of Francophone Studies. He retired from the university in 2015, but remains active as professor emeritus of Francophone Studies and Folklore. He is also a lifetime Research Fellow of the university’s Center for Louisiana Studies. He has given numerous papers and published numerous articles and several books on various aspects of Louisiana’s Cajun and Creole cultures and languages. He is a member of the team, coordinated by Albert Valdman of Indiana University, that produced the Dictionary of Louisiana French as Spoken in Cajun, Creole and American Indian Communities (Jackson: U Press of Mississippi, 2009). With Carl Lindahl and Marcia Gaudet, he edited and contributed to Second Line Rescue: Improvised Responses to Katrina and Rita (Jackson: U Press of Mississippi, 2013). He is interested in expanding the classroom through festivals (including Lafayette’s Festivals Acadiens et Créoles, which he directs), special concerts, records, museum exhibitions, documentary films, and television and radio programs (such as the Rendez-vous des Cadiens, a weekly live radio show from the Liberty Theater in Eunice, Louisiana, which he hosted for 24 years). He has served as a consultant and fieldworker for several documentary films, including Pat Mire’s Dance for a Chicken: The Cajun Mardi Gras. He served as associate producer, along with Zachary Richard, and principal scholar, along with Carl Brasseaux, for Pat Mire’s Against the Tide: The Story of the Cajun People of Louisiana, a production of Louisiana Public Broadcasting and Louisiana’s Department of Cultural, Recreation and Tourism. He served as director of the team of scholars that provided the basic research to the National Park Service for the development of the Jean Lafitte National Park’s three Acadian Culture Interpretive Centers. He is a Chevalier in France’s Palmes Académiques and in France’s Ordre des Arts et des Lettres, a member of Quebec’s Ordre des Francophones d’Amérique, and a Fellow of the American Folklore Society, which also recently awarded him its Americo Paredes prize for his work in his own community. He was named 2009 Humanist of the Year by the Louisiana Endowment for the Humanities. He is married to Carolyn Ancelet and they are the parents of Dr. Jean Charles-Edouard Ancelet, Dr. Jacques François Ancelet, Louis Elias Ancelet, Emile André-Joseph Ancelet and Caroline Clélie Suzanne Ancelet.